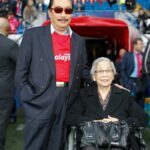 We haven’t had much Vincent Tan news since Cardiff City were relegated from the Premier League two years ago, but that’s only because he’s been using this time to learn. And now, with his club sitting ninth in the Championship, he’s ready to share his knowledge with the Cardiff players and revolutionize the game at the same time. “In every match I want to see 30 or 40 attempts on goal, at least. Just shoot from 25, 30 yards, I told them. “What’s the point of passing, passing, passing and hoping to get in the box that way. Unless you’re Lionel Messi looking for a tap in, it’s not going to work. “I watch every Cardiff match and I told them ‘You guys have no confidence’. Peter Whittingham is capable of shooting and scoring score goals from 30 yards, so have a go, I said. “Yet they get the ball and it seems to be like a hot potato. Pass it to somebody else straight away. You must see that, because I do. Are you taking notes on this, Pep Guardiola? This is why you haven’t won the Champions League in a years. Too much passing, not enough shooting from your own half 80 times per match. It’s simple mathematics, Pep! But before you laugh and say Vincent Tan has no idea what the hell he’s talking about, cram it. Though his team talks might give players hernias as they try not to laugh in his face and make manager Russell Slade want to sink into the earth, his recent actions in his capacity as owner are seriously beyond reproach. He announced that he will cut the club’s debt in half and has set a target of being completely debt free by 2021. And if they follow his tactical advice, they’ll be Champions League winners by then, so they’ll probably be turning a profit. Wanyama’s got some discipline problems.